Some apps can be hard to get going with, whether they have too many features or appear to be hand full to jump into. The iWork apps for the iPad have a lot of features but once your in adding and moving bits around they come together quickly. Things are as they should be, it was done by Apple for a Apple product of course. 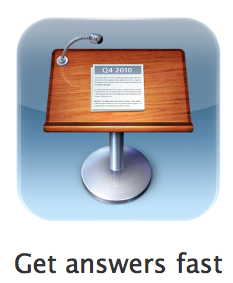 Apple’s Support page offers a few nice resources for getting started. The online manual and Quick Reference FAQ are spots to go when you have questions. A new addition is a Best Practices page of tips. It’s a short list but an important one to avoid going down a path with poor results.